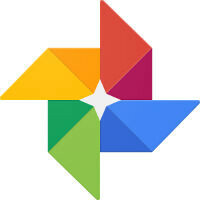 Google Photos is a strange product because it technically launched at the end of May this year, but many of the features of the service have existed for a long time as part of Google+, including the Auto Awesome animations and edits, the auto-upload, and limited versions of the search features. Still the rebrand is the official launch of Google Photos, and since that launch the service has hit the 100 million user milestone. Google Photos may have gotten a boost from the easy access roads for those already using Google+ Photos, or people generally using Android, but the amazing search features and unlimited storage of photos 16-megapixels or smaller probably helped quite a bit as well. Google has also listed some of the big ways people have been using the service. Some of the facts are things you could probably guess, like that users took pictures of food more than anything other than people, weddings and concerts were the most photographed events, and babies are the top search query. Some facts are a bit surprising, like Paris being the most photographed location, ahead of New York, and the fact that the Internet may not be all about cats, because Google Photos users took more pictures of dogs than any other animal. Google also claims that its auto-upload feature has helped to clear up 3,720 terabytes of storage space on user devices. It is unclear if that is how much users have uploaded with the auto-upload feature, or if it is actually the amount of photos deleted from devices by using the Google Photos Assistant. Either way, that's an impressive number. I like Google Photo unlimited photo storage and opt-in approach. Except it's free tier is worthless if you have a phone that shoots over 16mp photos. Other than that, best photo storage around!! 16MP is way more than satisfactory for free cloud storage on Google Photos. Most phones today use 16MP or less shooters, even flagships like the Note 5, S6, 6S, etc. Now if you want unlimited storage of photos, I also use Amazon Cloud drive for photos since you get unlimited photo storage if you have an Amazon Prime account. You can always take 16MP pictures on your 16+MP phone as well. Most of those numbers came from transferring old Google+ Photo accounts and the auto-upload feature many users are not aware of. I also heard they had so many hundreds of millions of 'active' google plus users.